The other day I was very happy to make these delicious, healthy, gluten-free banana pancakes for breakfast. Making these was a breeze and they were yummy too. 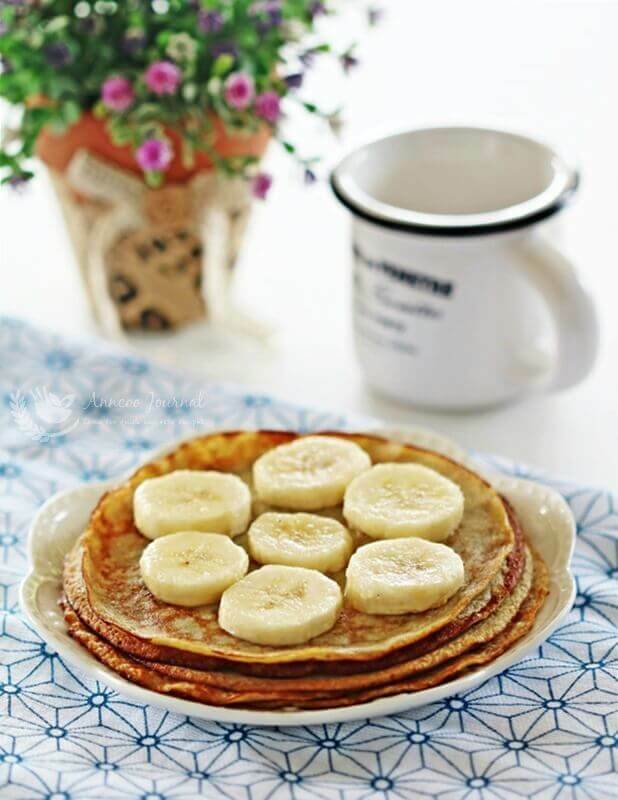 It’s another easy recipe with only 3 ingredients – banana, eggs and brown sugar. You can even leave out the sugar and use 2 ingredients if you wish. 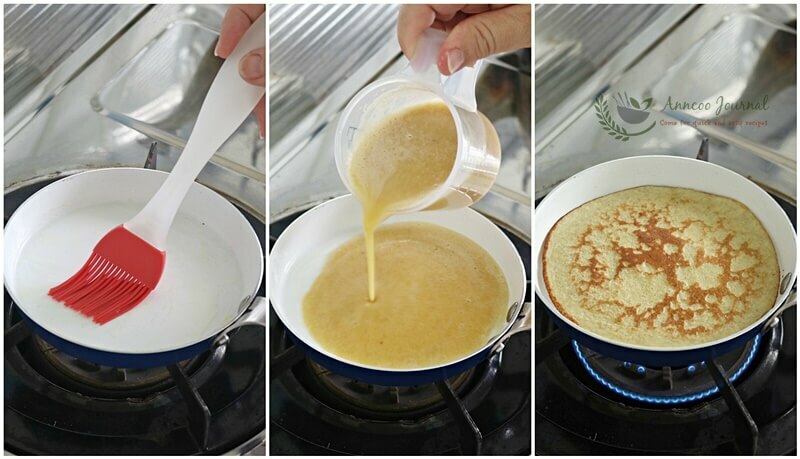 This can be done within few minutes and serve with butter or honey to start your day! 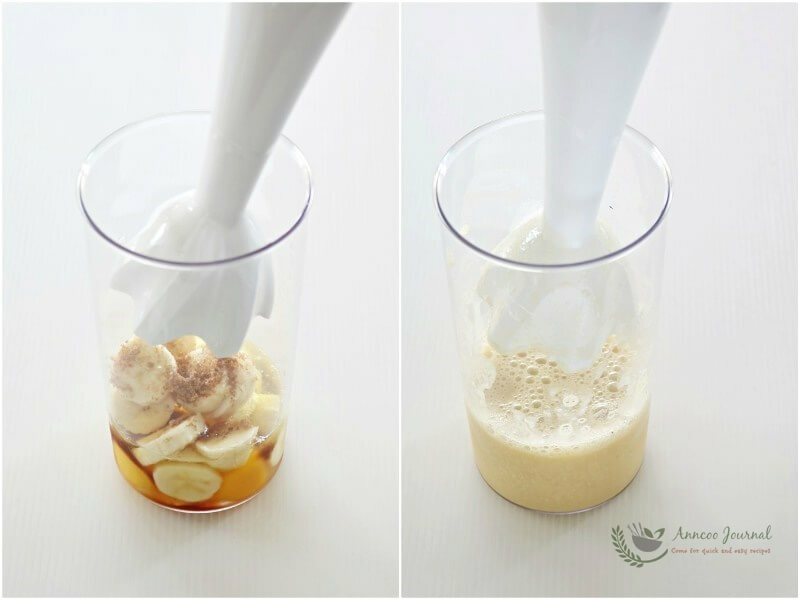 Blend eggs, banana and brown sugar to smooth. Heat pan under low heat. Brush with some butter and pour or scoop some of the banana mixture into pan and cook for about 1 minute till golden brown on each side. 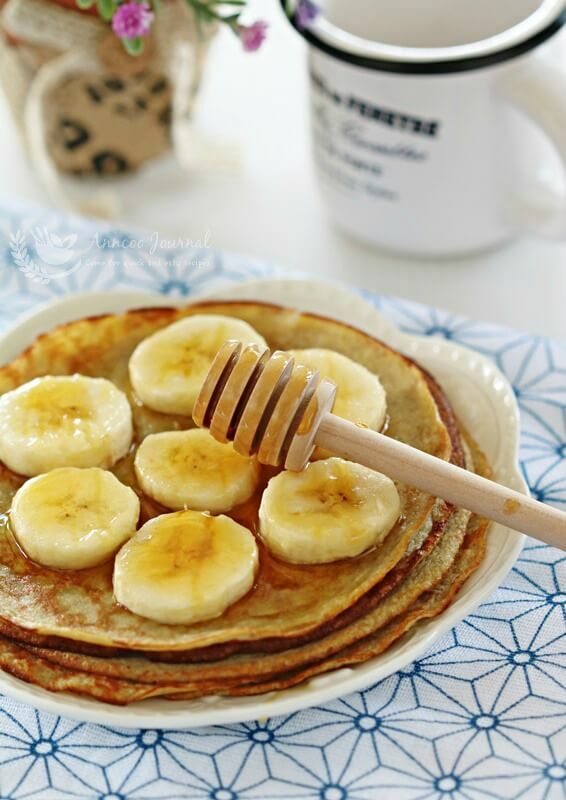 Serve pancakes immediately with sliced banana and honey. Ann, I happen to have a big bunch of bananas at home. Now I know what to do if I can’t finihs all. hah..hah..
Those banana crepes look heavenly!